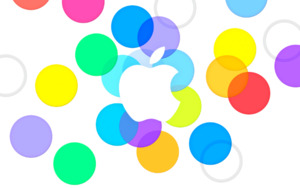 What’s better than one fall Apple event? Two fall Apple events, naturally. The folks from Cupertino evidently agree, for on Tuesday they dispatched invitations to the media for a gathering next Tuesday, October 22, in San Francisco at the Yerba Buena Center for the Arts Theater. The show kicks off at 10 a.m. Pacific, 1 p.m. Eastern. 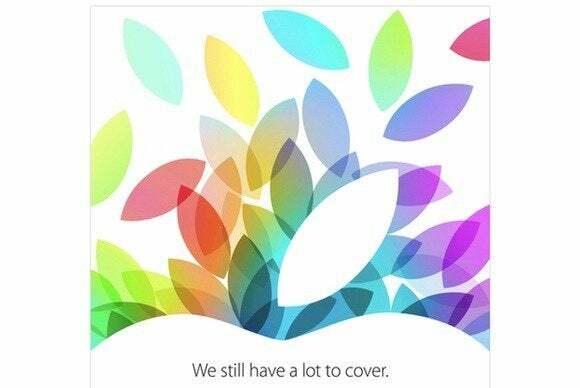 In teasing the event, Apple says “We still have a lot to cover”; the image shows a kaleidoscope of the iconic leaf from the Apple logo in a variety of different colors—a very fall-like image. No doubt much speculation is already focusing on the significance of said leaves. Of course, Macworld will be on hand with live coverage of every move Tim Cook takes, though we’ll try to hold off on reporting every breath he takes. Tune in live on Tuesday, October 22 to join myself and our editorial director Jason Snell for all the action.